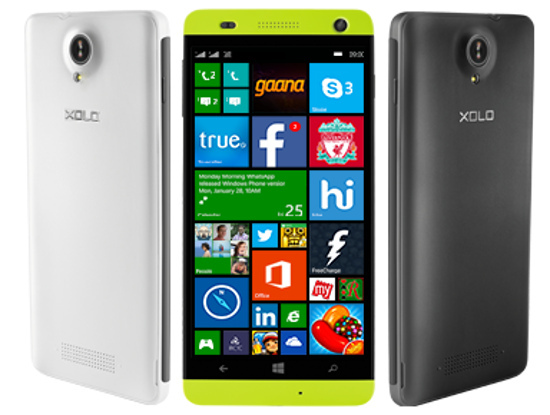 Xolo Mobiles after announcing Xolo Play 8X-1020 as their first ever Octa core phone, here comes their Windows Phone named as Xolo Win Q1000. It’s a 5 Inch Windows 8.1 Phone under Rs 8500 in India. Going through technical specifications of the device it comes with 5 inch HD display and powered with 1.2 Ghz quad core processor with Adreno 302 GPU. There is 8 mega pixel rear camera and will be available in Green, Black and White color variants. Xolo Win Q1000 will be available in Black, White and Green color variants priced at Rs 8499 and the official launch of this device is expected very soon.